In response to the Fianna Fáil TD, the Communications Minister said that the Government had made “some pretty good shots”. THE FIANNA FÁIL finance spokesman has criticised the decision not to establish a precautionary credit line for Ireland after the country exits the bailout. 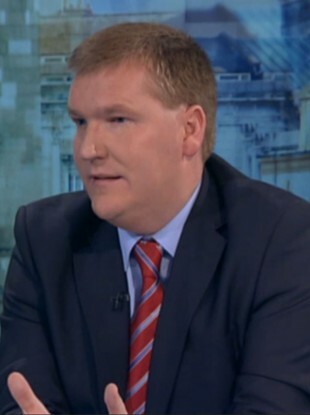 Michael McGrath told RTÉ’s The Week In Politics that a post-bailout credit line would provide stability for the country. “We are facing into significant risks. “The ECB announced that they can step in and buy government bonds. That is one of the reasons why our bond yields have stayed benign. Because we haven’t availed of the credit line, we are excluded from that mechanism. We want an exit, but we want a sustainable exit. Communications Minister Pat Rabbitte, however defended the decision. Rabbitte rejected the notion put forward by host Ronán O’Dómhnaill that Ireland was “going to play a round of golf at Augusta without a putter”. I think most of the shots taken by the Government have been pretty good. Email “"We want an exit, but we want a sustainable exit" - McGrath calls for credit line”. Feedback on “"We want an exit, but we want a sustainable exit" - McGrath calls for credit line”.